It's not all club only knowledge, much is helpful links to other good sources. If a link is bad, please let me know - marinmashers@gmail.com. Rick's information on Growing Hops. and a myriad of other hop and hop growing documents. Very thorough Hop Information site. It's missing, as of 9/26/16, some of the newer hop varieties available. 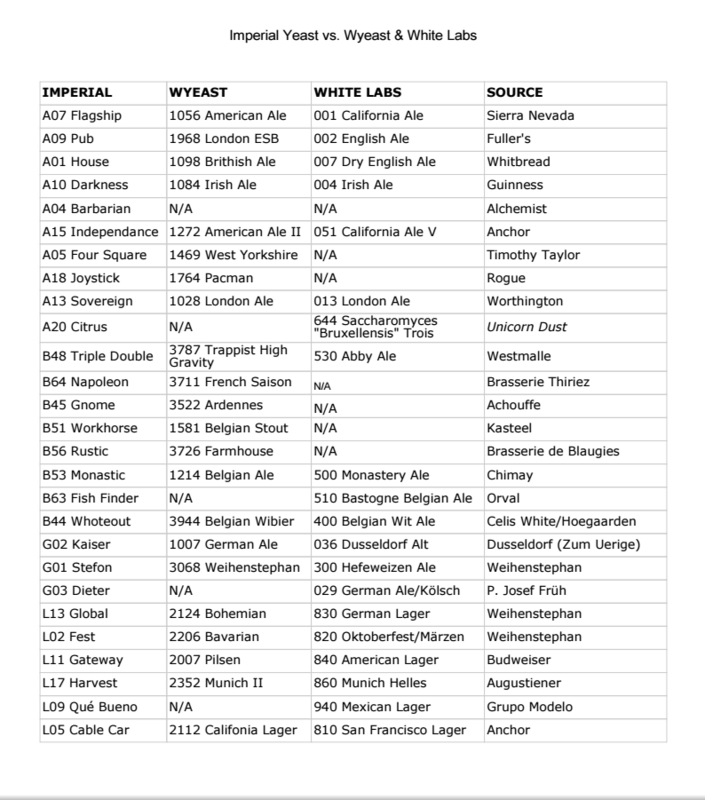 Mapping for Imperial Yeast strains courtesy Reddit, but probably someplace else. Steve's presentation documentation on Cleaning and Sanitizing. Damien's notes from the presentation. Eric's links on aging - 8 tips for aging and easy to find buys that age well. Type once and get 4, Competition Bottle Labels! Balancing your kegging system from Homebrew Finds. Personally I found 10-12psi plus 6ft of liquid line from J&M works great in my upper 30's keezer.